I enjoyed the assassin's curse for several reasons. 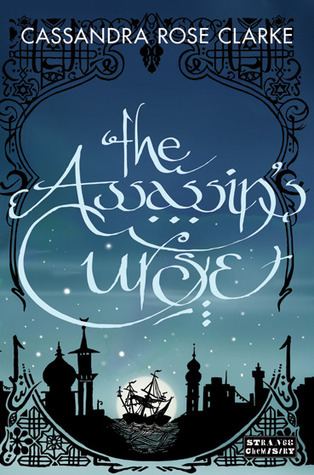 Firstly the book follows the story of Ananna directly after she escapes the clutches of an arranged marriage and triggers a curse on the assassin sent to kill her for running away from the betrothal. I loved Ananna mostly because she is a pirate girl. Quite honestly as a child that was the dream being a pirate girl (yes I was a strange child) and it meant I really wanted to rally behind her and champion her cause. I loved that she was able to hold her own in her adventure. The story itself was magical and fast paced and as a reader I was completely drawn into the exotic world of the story to the point where I could also feel the sand of the desert whipping around me and the heat of the jungle. I must say I actually loved the relationship between Ananna and her would be assassin turned champion. I loved her they came closer as they shared several harrowing experiences along their journey. A book I definitely recommend for fantasy fans who want to be whisked away into another world. I really loved how Ananna narrates exactly as she talks. It was a wonderful touch that really helped make the story for me. Definitely an enjoyable novel!